5.9 x 10.2 x 9.1 in. 7.9 x 10.2 x 9.8 in. 7.5 x 11.8 x 9.5 in. 7.5 x 11.4 x 9.5 in. 6.3 x 11 x 10.6 in. 7.1 x 11.8 x 11.4 in. 7.5 x 10.6 x 9.1 in. 6.7 x 11.8 x 11 in. 6.3 x 11 x 9.8 in. 7.5 x 11.4 x 10.2 in. 6.3 x 12.2 x 11.8 in. 5.9 x 10.6 x 8.7 in. 7.9 x 11 x 10.2 in. 7.9 x 10.6 x 9.4 in. 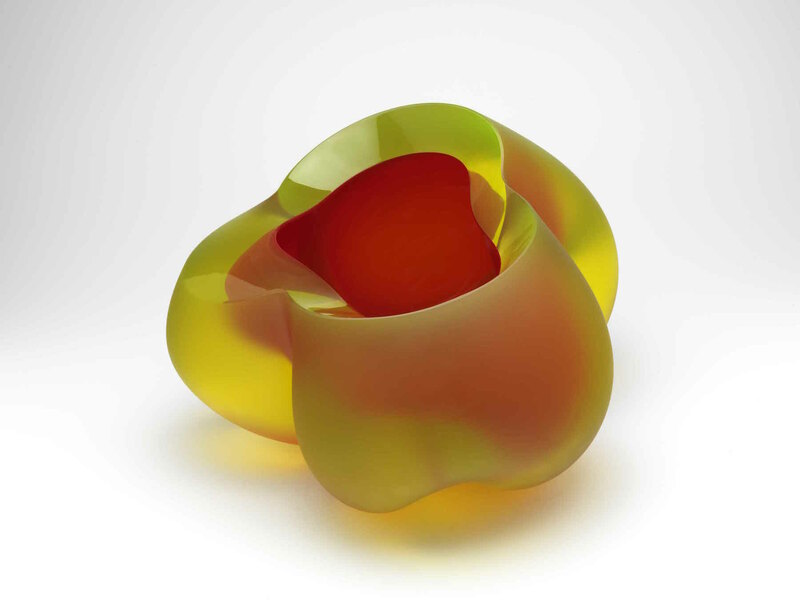 Barbara Nanning started working with glass in the early 1990s after beginning her career as a ceramicist. 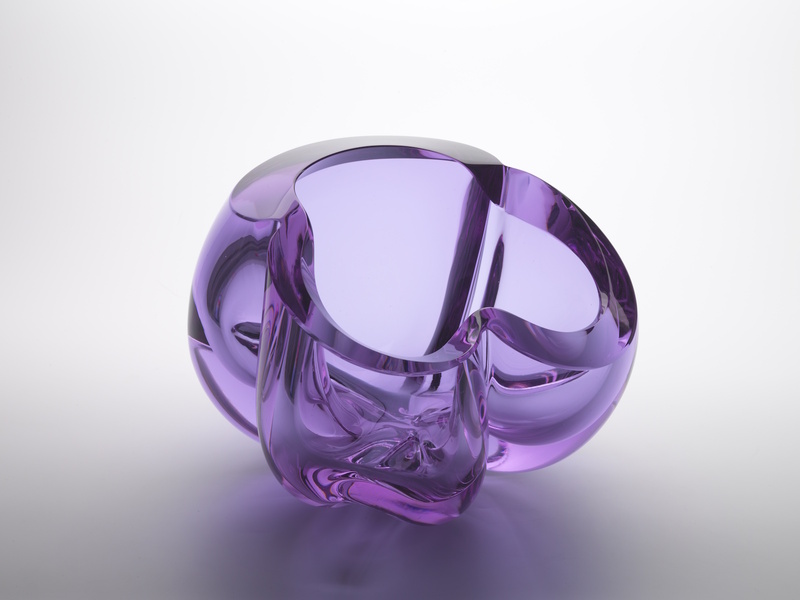 Experimenting with pate de verre, glass blowing, and metal gliding in the Netherlands and Japan, she currently creates her works in a glass workshop in the Czech Republic. Nanning leads with the hand of the glass blower, shapes the hot molten glass, and controls every step of this hazardous production. With her series of imposing glass vessels, Nanning unfurls a visual vocabulary of plants and fruits encompassing all things lucid and glowing, shining-as-if-wet, frozen and frosted; concealing a delicate and precious inner void. Colour plays an essential role in Nanning’s practice. 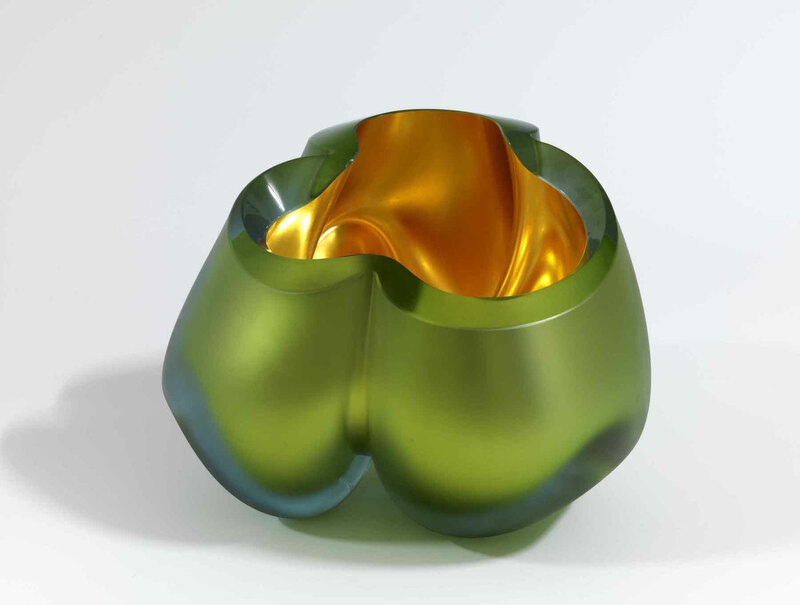 She combines thick-walled, boldly-coloured glass with delicate metal gilding. Consistently inspired by the vegetal, Nanning plays with textures and reflections of light. 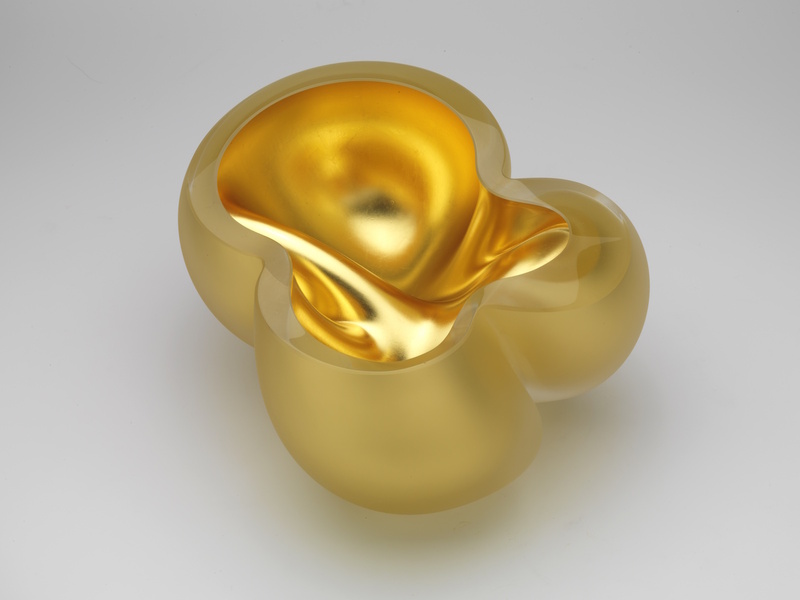 Her series of curvaceous and folded forms lay out a variation on shades and shines.